Xinhua said the analogy shows a “dangerous ignorance of history.” Its general claim is that Western countries believe Xinjiang should be independent, and that this fuels a dangerous “separatist” mentality. So, to explore this “dangerous ignorance of history,” let’s take a look at historical documents leaked by Soviet intelligence services that include comments from the Chinese regime’s leaders when they conquered Xinjiang. “We recognize the Muslims, Mao Zedong said, as a nation. We never approved the Guomindang policy of oppressing the Chinese Muslims and therefore believe that we must provide them with autonomy in the framework of China,” states a leaked Soviet document from February 6, 1949, which was recently declassified. Based on the current news, it seems Mao Zedong himself should also be posthumously sentenced to life in prison for his “separatist” beliefs. The above quote was from a Soviet transcript of a meeting between Soviet statesman Anastas Mikoyan and founder of the Chinese Communist Party (CCP), Mao Zedong. During the meeting, Mao relayed the current state of affairs in China, including the state of its numerous minority groups, and his plans for the Chinese regime as things moved forward. 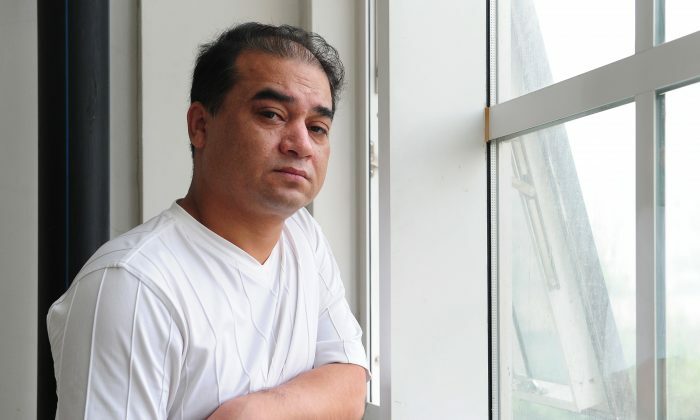 Ilham Tohti, who was recently sentenced to life in prison, was an economics professor at the Beijing-based Central University for Nationalities. He was accused of spreading “separatist views” through his former website, UighurOnline. In another leaked document showing a conversation between Mao and Mikoyan two days prior, Mao gave more details on his plans for Xinjiang. “Mao Zedong took a special interest in whether there is a lot of oil in Xinjiang or a little,” it adds. The CCP had many reasons for wanting Xinjiang, most of which were strategic. Mao stated in the February 6, 1949, document that “Xinjiang has a great strategic significance and economically connects us to the USSR.” He said the CCP planned to enter Xinjiang in 1951. Another leaked document, showing meeting notes just several days prior to Mao’s meeting, shows communications between Mikoyan and first premier of the CCP Zhou Enlai on similar topics. In the document, Zhou claimed that Muslim generals in northwestern China, Mao Bufan and Ma Hongkui, were supported by the United States and former head of the Chinese government, Chiang Kai-shek. In the end, however, oil seemed to be the pivotal element on the Chinese regime’s interests in Xinjiang. On June 18, 1949, Soviet Union leader Joseph Stalin sent a three-paragraph memo to Mao emphasizing the strategic importance of Xinjiang. Stalin said the CCP could lay an oil pipeline in the area to a processing plant in Qinzhou. From there, he said, the CCP could ship oil around China by sea and rail. “Therefore you should not delay for a long time the taking of Xinjiang. One army will be needed for this business,” Stalin wrote. A veteran activist in China has been accused of sedition.